If you want to go remote (and make a bunch of money), learning to code could be the game-changer you’ve been looking for. Remote programming and development jobs are plentiful, and they tend to be the most highly-paid, too. And you don’t have to worry if you didn’t study computer science in school, because a coding bootcamp could help you gain the skills you need. Coding bootcamps are intensive programs that teach you the essentials while helping you build your portfolio, grow your network, and get a job. The best coding bootcamps have nearly 100% job placement rates, with many graduates going into high-salary jobs they were unqualified for just a few months earlier. What’s more, many of these coding bootcamps have online course offerings if you prefer to learn from the comfort of your own home. Ready for an intensive learning experience that could transform your career (and bank account) in a few short months? Here are the best coding bootcamps in 2019 for aspiring programmers, designers, and software engineers. App Academy’s coding bootcamps are located in San Francisco, New York City, or online. You’ll need to do some self-studying before you apply, since you have to complete a coding challenge and have an interview before being accepted in the program. This intensive coding bootcamp spans over a period of 12 weeks with a full-time schedule of classes and studying. While it will feel like a (very) full-time job, you’ll leave with a deep understanding of programming and a portfolio to impress future employers. And if you’re worried about the price tag, note that App Academy offers both merit- and need-based scholarships, which can cover up to 30% of tuition costs. What’s more, App Academy doesn’t charge you a fixed fee up front, but rather asks for 18% of your first year’s salary once you’ve completed the course. With the full stack web development skills you hone at App Academy, you’ll probably be able to secure a good job. According to the academy, its software engineer graduates had an average salary of $100,000 within one year of graduating. Along with intensive web development courses, Flatiron School also offers a comprehensive curriculum in UX/UI design and data science, two very in-demand skills in today’s job market. According to Flatiron, its alumni have a post-bootcamp employment rate of 97%. You can attend Flatiron School in-person on its campuses in Atlanta, Brooklyn, Chicago, Dallas, Denver, Dallas, Houston, London, New York, Seattle, or Washington, D.C. It also has an online program which allows you to go through the curriculum at your own pace. Flatiron School offers various scholarships, including ones designed for women, veterans, and underrepresented students. If you excel academically, you might also qualify for one of its merit-based scholarships. Finally, NYC residents who qualify for Flatiron School’s Mobile Dev Corps could enroll for free. Qualifying students don’t have to pay tuition and get other perks like prepaid MetroCards to get to and from the school. If these price tags are making you wonder if coding bootcamp is worth it, The Firehose Project might be able to help you decide. It offers a free, two-week demo of its web development bootcamp, so you can sample it before committing to the full course. If you’re satisfied, you can enroll part-time or full-time and pay full tuition up-front or in five installments of $900 each. The Firehouse Project’s coding bootcamp is conducted entirely online. Hack Reactor is another highly rated coding bootcamp with a strong post-graduation employment rate. Of its 4,000 alumni, more than 30 have gone on to work at Google. Hack Reactor has on-site classes in Austin, Boulder, Denver, LA, NYC, Phoenix, San Francisco, and Seattle, or you can study online. You can take the course for 12 weeks full-time or study part-time and stretch it out over nine months. If the price tag makes you worry this coding bootcamp isn’t worth it, look into Hack Reactor’s scholarships, some of which cover the full cost of tuition. If you’re intrigued by app development, consider the week-long coding bootcamps from Big Nerd Ranch. Located in Stone Mountain’s 3,200-acre park (16 miles from downtown Atlanta), Big Nerd Ranch’s app developers teach aspiring programmers how to design apps for iOS and Android, as well as general web development. It has courses for beginners and experienced coders alike, and offers bootcamps in iOS & Swift, Android, and web development. Aside from helping you acquire modern skills with experienced instructors, this coding bootcamp offers daily meals, pick up from the airport, and accommodation. Big Nerd Ranch’s more than 17,000 graduates have gone on to work in top notch organizations, such as Disney, Apple, and others. Courses are taught by working programmers from Silicon Valley and other tech hubs, so you can learn from the best while making valuable connections. You’ll also get the chance to build production-ready apps with real software development teams. To get in, you’ll need a basic knowledge of programming, which you can gain through its free pre-course work. Along with spending nine months learning to code and building your portfolio, you’ll get extensive career development support from the experts at Lambda School. Unlike the other coding bootcamps on this list, Skillcrush offers an entirely self-paced collection of courses, all of which you’ll complete online. It’s up to you how much time you spend learning, but Skillcrush recommends setting aside at least one to two hours per day. This set-up could be perfect for aspiring coders who don’t want to quit their day job just yet or can’t commit to a full-time coding bootcamp schedule. According to Skillcrush, students take an average of three months to complete its blueprints (what it calls its courses). Skillcrush has various career blueprints, including ones in frontend development, web development, UX, web design, and WordPress development. You’ll get access to guides, master classes, and webinars, as well as weekly job listings to help you find a job. If you’re not satisfied with the courses within the first 30 days of signing, you can request a full refund. Skillcrush is a great option if you’re looking for a self-paced curriculum you can do from home, but it’s probably not as appealing to those who want an interactive experience and the chance to collaborate on projects with other students. With the high price tags on many coding bootcamps, it’s natural to wonder if coding bootcamps are worth the cost. If you’re serious about getting a job in tech, the answer could be yes. Coding bootcamps teach you the skills you need and help you build a portfolio. You’ll often learn from industry leaders, build connections in the industry, and get career development support. But you want to make sure the coding bootcamp you choose offers all these opportunities. So look at graduation rates, ask about job search support, and read reviews from students who have attended. 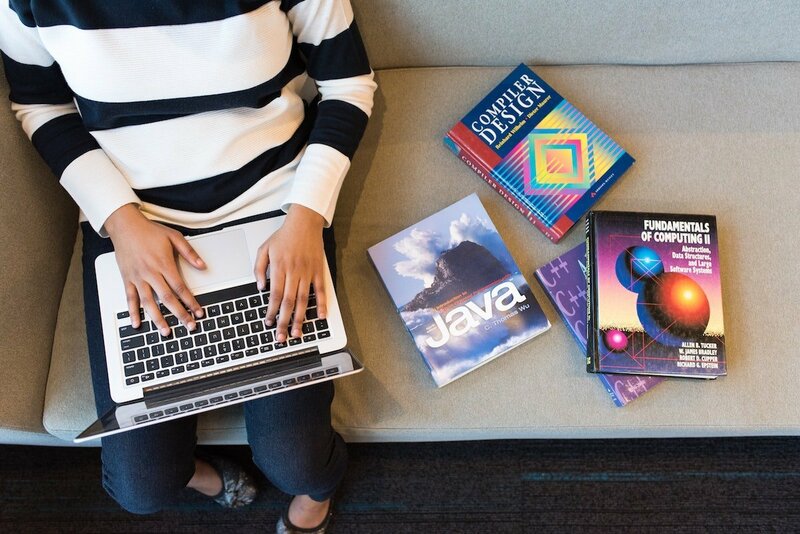 Besides researching the best coding bootcamps, spend time learning to code on your own before you enroll to make sure this career path is for you. Most bootcamps want students with some experience anyway, so studying on your own will help you gain admission. Remember that you probably don’t need a coding bootcamp to get a job; some programmers are self-taught and get hired purely on the basis of their impressive portfolios. But learning on your own can be really tough, and a coding bootcamp could give you the structure, motivation, and community you need to meet your goals. Get clear on what those goals are, and remember that a coding bootcamp is an investment. By enhancing your web development, UX design, data science, or other tech skills, you could soon land a steady job that offers a high income, challenging and creative work, and total flexibility and freedom over your schedule. Curious about remote tech jobs? Check out the Remote Bliss job board for hundreds of openings in software engineering, development, design, and UX.